Size: God Loves You is 1" X 1&3/8"
Back of John 3:16 Cross Card - John 3:16 Scripture. Wood Pocket Crosses-Pack Of 5 have various sayings that will uplift the heart of any Christian. They make wonderful communion gifts or gifts for any occasion. 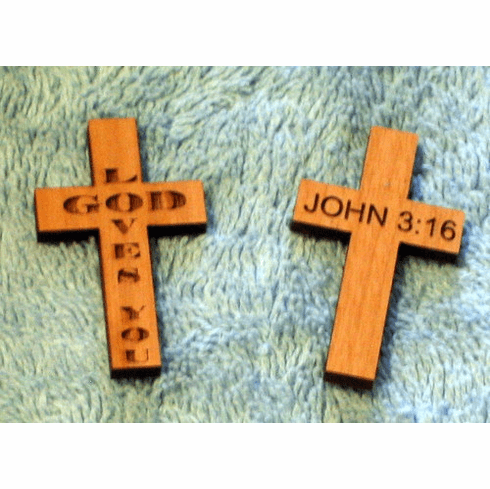 Get your Wood Pocket Crosses-Pack Of 5 at discount, wholesale, sale priced, inexpensive and even cheap.